*Share price is as of the end of November 30. Number of shares issued is as of the end of September 2018. This report outlines the overview of Seika Corporation for the first half of fiscal year March 2019 earnings results. Under the corporate philosophy "To Contribute to Society Through the Expansion of Business," Seika Corporation sells equipment, devices, etc. and offers services in the fields of electric power, chemistry, energy, industrial machinery, material, and measurement as a general machinery trading company. Its three characteristics and strengths are sales capability thoroughly versed in fields, extensive expertise in each business, and a wide network including 70 business bases both inside and outside Japan. 【1-1 Corporate history】 In July 1947, after the Pacific War, Mr. Douglas MacArthur, Supreme Commander for the Allied Powers, ordered the dissolution of the old Mitsubishi Corporation with a memorandum. In October 1947, the first president Koji Nakabayashi and staff of the machinery division of Moji Branch played a central role in founding Seika Corporation in Moji-ku, Kitakyushu-shi. The corporate name is derived from "Essence of commerce: To pursue the quintessence of commerce, and offer benefits to others while earning money," "Star company of the west: To aim to become a star enterprise in western Japan," and "China: It may become helpful if the trade with China increases." The company expanded business actively, establishing branches throughout Japan, including Tokyo and Osaka, and an overseas office in Dusseldorf, Germany (old West Germany), where only a few Japanese people resided around that time, in November 1954. The company was listed in the first section of Tokyo Stock Exchange in October 1961. Then, it has grown as a general machinery trading company, by fortifying the sales base mainly in western Japan and establishing footholds in the U.S., Europe, and Asia. In 2017, which was the 70th anniversary of the establishment of Seika Corporation, the company set a long-term management vision for the year 2027 "Envisioned Seika Group 10 years from now" and a new three-year plan "Mid-term Management Plan CS2020," which began in Apr. 2017, and these are ongoing. 【1-2 Corporate philosophy】 Seika Corporation set up the following corporate philosophy and code of conduct. 【1-3 Business contents】 (1) Business segments As a general machinery trading company, Seika Corporation sells machinery, equipment, devices, and ancillary products and offers services in the fields of electric power, chemistry, energy, industrial machinery, material, and measurement. The segments to be reported are "Power Plant," "Chemicals and Energy Plant," "Industrial Machinery," "Advanced Materials and Measuring Instruments," and "Global Business." ① Power Plant The clients of Seika Corporation are electric power companies in western Japan, including The Kansai Electric Power, Kyushu Electric Power, The Chugoku Electric Power, Shikoku Electric Power, branches of Electric Power Development, and joint electric power companies, such as Wakayama Kyodo Power. The company sells industrial power generation equipment, such as boilers and gas turbines, environmental conservation equipment for treating discharged water and exhaust gas, anti-crime and anti-disaster equipment, such as security equipment and fire extinguishing devices, etc. The suppliers include Mitsubishi Hitachi Power Systems (MHPS), which is a joint venture of Mitsubishi Heavy Industries, Ltd. and Hitachi, Ltd. Seika Corporation possesses the distributorship for thermal power generation equipment of MHPS. ② Chemicals and Energy Plant Seika Corporation procures in-house power generation equipment, such as boilers and turbines, environmental conservation equipment for treating discharged water and exhaust gas, and so on from MHPS, etc., and sells them to chemical companies, oil companies, paper-manufacturing companies, steelmakers, and railway companies. In addition, the company procures equipment for manufacturing chemical products, etc. from Japanese manufacturers and sells them. ③ Industrial Machinery Seika Corporation provides clients in a broad range of industries with textile equipment, food processing equipment, brewing equipment, plant machinery, liquid crystal-related equipment, environment-related apparatus, uninterruptible power systems (UPS), etc. produced by Japanese manufacturers, and offers maintenance services. Recently, the sales of lithium ion battery-related equipment for electric vehicles (EV) in China have been growing considerably. ④ Advanced Materials and Measuring Instruments Seika Corporation sells equipment for manufacturing printed circuit boards for electronic devices, etc. to mainly domestic consumer electronics manufacturers, and delivers advanced technology-based measurement equipment, such as laser measurement instruments and pore size measurement instruments, to government offices and research institutes. The company also handles a wide array of products, including measurement devices of industrial machinery for environmental conservation and equipment for water treatment. Products are procured mainly from overseas manufacturers. 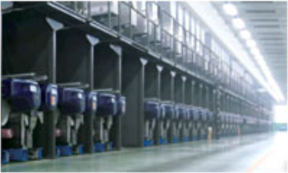 ⑤ Global Business (Europe) While selling industrial robots to automotive customers, Seika Corporation sells and leases submersible pumps used in construction, etc. These products are procured mainly from Japanese manufacturers. (North America) The company sells Japanese-made industrial machinery used in the PCB surface mount production line to clients affiliated with Japanese automotive manufacturers. (Asia) The company sells Japanese-made machinery and equipment to companies within the textile, chemical, and other general industries, and also procures raw materials outside Japan and sells them to textile manufacturers. (2) Sales in each region Domestic sales account for over 80%, but the acceleration of global business expansion is included in the mid-term management plan CS2020 as a company-wide strategy, and the company aims to raise the ratio of overseas sales. 【1-4 Characteristics and strengths】 (1) Hands-on sales capability The capability of hands-on sales nurtured in their 70 years history is the company's greatest strength. By building relationships of trust through meticulous customer services and forming personal connections, Seika Corporation is able to obtain a steady stream of orders. (2) High level of expertise in each business Although trading companies are sometimes thought of as middlemen, Seika Corporation has garnered excellent reputation as an essential business partner with a high level of expertise, including profound information gathering capabilities and the ability to develop proposals that stay one step ahead of clients. (3) Extensive network comprised of 70 bases in Japan and overseas Ten years ago, the company had around 30 bases, but in anticipation of globalization, they have been rapidly expanding the number of bases, mainly in Europe and Southeast Asia. The speed and comprehensiveness of information have increased further, and by utilizing this, the company hopes to further improve its corporate value. (4) Measures to strengthen employee education and sales capabilities Seika Corporation primarily uses on-the-job training to develop its employees. Senior staff and those with more experience teach newer employees the essentials, and the company also focuses on overseas training programs and seminars for each skill level. Nowadays, the company requests the former staff of manufacturers and client companies to provide its employees with consultation services and hands-on support for sales. The advice the company receives allows them to further improve their expertise and sales capabilities. 【1-5 ROE analysis】 Seika Corporation is still unable to keep its ROE over 8%, which is required for Japanese companies as indicated by Ito Report, etc. Since leverage is relatively high, profit rate is expected to improve. 【1-6 Efforts for ESG】 <E: Environment> The environmental policy of the company is to "make efforts to conserve and improve the earth environment and contribute to the realization of a sustainable society." Under this policy, the company obtained the ISO14001 certificate in 2005, and is promoting environmentally-friendly products. The environmentally friendly products handled by the company are diverse, including equipment for treating exhaust gas from boilers and incinerators and equipment for collecting organic solvents for chemical and semiconductor factories. The amount of orders in the term ended Mar. 2018 was about 76 billion yen, as mentioned below. The company will continue to contribute to the conservation of the earth environment through business activities, and not merely from the viewpoint of social contribution. <S: Social responsibility> To fulfill its "social responsibility," Seika Corporation engages in work-style reforms as follows. "Promotion of women's active participation in the workplace" To recruit more women in the main career track To support female employees in developing their careers To appoint female managers "Enhancement of health of employees" To adopt Premium Friday (used by 21% of employees) To promote the use of paid holidays The company bears the expense for cancer screening (tumor marker option) in a health checkup The company bears the cost of influenza vaccinations "Personnel development" Training at each level Overseas training system <G: Governance> The website of the company discloses the activities for each item of the Corporate Governance Code. In the term ended Mar. 2018, "the effectiveness of the board of directors was evaluated," and the board of directors established the "committee for selecting the president and others," which is composed of outside directors and auditors, as an arbitrary system. The company translated some convocation notices into English, and produced a fact book in English. In order to grow sustainably and improve its corporate value in the medium/long term, the company will strive to strengthen corporate governance, and pursue a sound, transparent management system. 【1-7 Shareholder return】 The primary managerial mission of the company is to return profit to shareholders, and its basic policy is stable dividend payment. Through the efficient business operation from the marketing and financial aspects, the company aims to fortify the management base. While dealing with the demand for funds for developing new businesses, etc., the company plans to achieve a consolidated payout ratio of 35%. For the term ending Mar. 2019, the company plans to pay an interim dividend of 25 yen/share and a term-end dividend of 30 yen/share, that is, a total of 55 yen/share, and the estimated payout ratio is 31.6%. The company will actively return profit to shareholders while comprehensively considering the dividend policy, full-year results, etc. Sales grew, while profit declined. Sales were 97.6 billion yen, up 48.3% year on year. In addition to large-scale transactions in the chemicals and energy plant business, European and U.S. subsidiaries performed well in the global business. Operating income was 860 million yen, down 24.9% year on year. Profits declined in the power plant and industrial machinery businesses, and the advanced materials and measuring instruments business recorded an operating loss. Net income rose 8.6% year on year to 830 million yen. Gains on sales of investment securities and stocks of affiliated companies were recorded as extraordinary income. Sales, operating income, and ordinary income fell short of their respective initial estimates. ① Power Plant Sales increased, but profits declined. The sales of large parts for power generation equipment to power companies increased. ② Chemicals and Energy Plant Sales and profit increased There were large-lot deliveries of coke-based power generation equipment to oil companies. ③ Industrial Machinery Sales and profit declined. Although the performance of the consolidated subsidiary Nippon Daiya Valve was steady, the delivery of lithium-ion battery-related equipment will be concentrated in the second half, therefore there was a decline in sales. ④ Advanced Materials and Measuring Instruments Sales decreased, but loss reduced. The sales of materials for printed circuit boards declined substantially. In addition, the performance of the consolidated subsidiary Seika Digital Image was sluggish. Although NS Tech was excluded from the scope of consolidation, their financial results are included up through the second quarter. ⑤ Global Business Sales and profit increased The performance of European and U.S. subsidiaries was steady. Overseas sales were 8.98 billion yen, down 20.4% year on year. The ratio of overseas sales was 9.2%. Total assets fell 14,416 million yen from the end of the previous term to 83,878 million yen, as a result of decreases in receivables and advance payments and an increase in investment securities. Total liabilities fell 14,977 million yen from the end of the previous term to 54,329 million yen due to a decline in advances received. Net assets grew 560 million yen to 29,549 million yen, due to an increase in retained earnings. Equity ratio rose 5.6 points to 34.5% from 28.9% at the end of the previous term. Operating CF remained almost unchanged, and the deficit of investing CF and free CF grew due to payments into time deposits, etc. The deficit of financing CF shrank due to a decrease in purchase of treasury shares. The cash position improved. (4) Topics ① Establishment of a subsidiary in Vietnam Vietnam actively invests in infrastructure, the environment, and the manufacturing industry, and is becoming more industrialized by attracting foreign investors. As such, they decided to establish a subsidiary in Vietnam, which is expected to experience an influx of Japanese companies. The subsidiary will engage in the sale of machinery, electronics and communication equipment, measuring instruments, tools, and other related materials. They will also handle installation work, engineering, and after-sales service, and distribute, import, and export the aforementioned products. Operations are scheduled to begin in Jan. 2019. ② Responding to natural disasters Seika Corporation emphasizes ESG, and successfully provided aid in response to the following natural disasters: * Heavy rain in July In addition to donating 5 million yen through the Japanese Red Cross Society, its employees provided support for volunteer activities in affected areas. * September 2018 earthquake in eastern Iburi, Hokkaido Seika Corporation supported the Hokkaido Electric Power Co. to quickly restore the Tomahigashi Atsuma Power Station. ③ Lithium-ion battery related equipment The demand for lithium ion batteries is expected to increase worldwide. Since 2015, the company has been conducting sales activities mainly for separators and manufacturing equipment for positive and negative electrodes, which are both components of lithium ion batteries. In addition to conventional equipment for separators and manufacturing equipment for positive and negative electrodes, Seika Corporation has begun handling equipment for producing battery packs and equipment for assembling EVs, as well as various raw materials. Although there are reports that China's EV industry is already mounted with an excessive amount of production equipment, the number of inquiries received from customers has not declined, and its clients are now not only from Beijing, Shanghai, Suzhou, and Shenzhen, but also from local cities, such as Hefei, Chongqing, and Chengdu. The company intends to increase personnel, continue cultivating the Chinese EV market, and strive to expand revenue. Orders and sales of lithium-ion battery related equipment are expanding steadily. The company is expected to earn sales of 17.2 billion yen this term, weighted in the second half. There is no change in the earnings forecast. Sales and profit estimated to grow. Sales are estimated to grow 5.7% year on year to 175 billion yen. It is expected that the chemicals and energy plant business will recover significantly, and the advanced materials and measuring instruments business will see sales growth. Operating income is projected to rise 19.3% year on year to 3.1 billion yen. Performance is forecasted to recover from the second half. The dividend amount is to be 55 yen/share, unchanged from the previous term, and the estimated payout ratio is 31.6%. 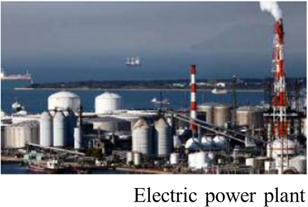 ① Power Plant Sales and profits are expected to decline. Coal-fired power generation, which is the specialty of Seika Corporation, is in an unfavorable environment, but the company will continue to focus on resuming nuclear power generation and constructing crime and disaster-prevention equipment for anti-terrorism measures, etc. They also plan to send more personnel to the currently understaffed Hokkaido area. They anticipate a decline in sales, but progress will remain stable. 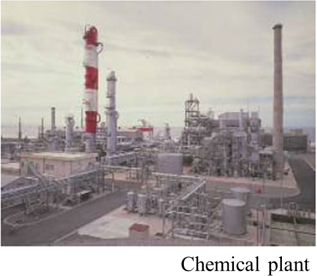 ② Chemicals and Energy Plant Sales and profits are expected to increase Although there are no large-scale transactions like in the first half, a healthy business trend is expected, including the sale of power generation equipment to oil companies. The financial results of the subsidiary Shikishimakiki, which deals in engines for both sea and land, will contribute. ③ Industrial Machinery Sales and profits are expected to decline. Although sales and profits are expected to decrease year on year, delivery of equipment for lithium-ion batteries will primarily be in the second half. The performance of subsidiary Nihon Daiya Valve is also healthy. Both sales and profits will be higher than they were in the first half. ④ Advanced Materials and Measuring Instruments Sales expected to decrease, but loss will be reduced. Although sales of materials for printed circuit boards are likely to decline, the company expects the performance of the subsidiary Seika Digital Image to recover. The company intends to select and concentrate management resources and promote structural reforms to improve business performance. Sales are expected to be grow compared to the first half, and expect a turnaround to profitability. ⑤ Global Business Sales expected to decrease overall, but expect a turnaround to profitability. The performance of European and U.S. subsidiaries will remain steady. (3) Activities in the second year of the "Mid-term Management Plan CS2020" The company has set the following financial targets for the "Mid-term Management Plan CS2020." See "Reference 2" for more details. In the term ended Mar. 2018, the first year of the mid-term management plan, net income was 1.65 billion yen. The main reasons for not reaching the target are attributed to temporary factors, such as extraordinary losses incurred by subsidiary companies. In the term ending Mar. 2019, the second year of the mid-term management plan, the goal is a net income of 2.4 billion yen, while the estimate is 2.2 billion yen. The company aims to achieve the 2.4 billion yen target by developing detailed marketing activities in each segment. In the final year of the mid-term management plan, they aim to achieve a net income of 2.7 billion yen by implementing various measures in each business segment. Activities in each segment are as follows. The progress rate for sales is relatively high at 55%, but the progress rate for profit is roughly 40%. The company plans to emphasize profits in the second half, therefore we would like to pay attention to whether they can achieve the initial estimate of a net income for this term: 2.2 billion yen, and how close they can come to reaching their goal of 2.4 billion yen for the mid-term plan. Meanwhile, sales of lithium ion battery-related equipment seem to be increasing steadily. By establishing a subsidiary in Vietnam, Seika Corporation will further strengthen their global network, so we can expect to see further business growth. (1)Outline of The Long-term Management Vision and Mid-term Management Plan Seika Corporation formulated a long-term management vision for the year 2027 "Envisioned Seika Group 10 years from now" and a new three-year plan "Mid-term Management Plan CS2020," which was started in Apr. 2017. ① Long-term management vision: "Envisioned Seika Group 10 years from now" *Objective The year 2017 was a turning point, commemorating the 70th anniversary of the establishment of Seika Corporation, and the company set a long-term management vision "Envisioned Seika Group 10 years from now," in addition to a mid-term management plan, which had been formulated every three years, in order to clarify the ideal path of the Seika group from the long-term viewpoint and realize drastic reform involving all employees. *Overview The following long-term policies have been set for actualizing the envisioned group. ② Mid-term management plan CS2020 *Overview Envisioning "Seika Group 10 years from now," the company considers a period from Apr. 2017 to Mar. 2020 as the first step, and implement the "mid-term management plan CS2020." *Basic policy "reform and evolution" The previous mid-term management plan CS2017's basic policy "Diversification of business domains" is an important issue to be addressed for the Seika group, but in order to proceed with it, it is imperative that they reform its business model and evolve conventional businesses. Accordingly, "reform and evolution" has been set as the basic policy of the "mid-term management plan CS2020."